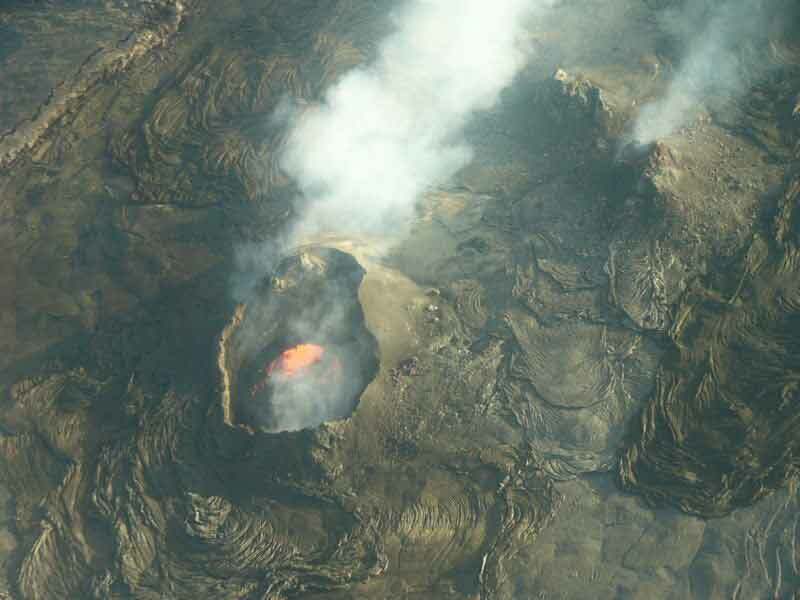 Mauna Loa Observatory has been home to hundreds of atmospheric research programs involving numerous cooperative organizations and related to a diverse spectrum of research categories. Each of our past and present programs has a web page with general project information, photographs, instrument descriptions, web links, trends, important results, and remarks about the program's role in global climate change from its principle investigator. The Greenhouse Gases and Carbon Cycle research program makes flask sample measurements from land sites, sea-surface sites, and aircraft, and makes continuous measurements from baseline observatories and tall towers. These measurements document the spatial and temporal distributions of greenhouse gases and provide essential information to our understanding of the global carbon cycle. GMD also uses inverse models to determine global sources and sinks of carbon dioxide. The Ozone and Water Vapor research program conducts research on the nature and causes of the depletion of the stratospheric ozone layer and the role of stratospheric and tropospheric ozone and water vapor in forcing climate change. This mission is accomplished through long-term observations and intensive field programs that measure total column ozone, ozone vertical profiles (ozonesondes and umkehrs), ground level ozone, and water vapor vertical profiles in the upper troposphere and stratosphere. The Halocarbons and other Atmospheric Trace Species research program quantifies the distribution and the magnitudes of the sources and sinks for atmospheric nitrous oxide and halocarbons, that include the chlorofluorocarbons, chlorinated solvents, methly halides, halons and other important ozone-depleting and greenhouse gases. Ground-based stations, towers, ocean vessels, aircraft, and balloons are utilized to accomplish this. 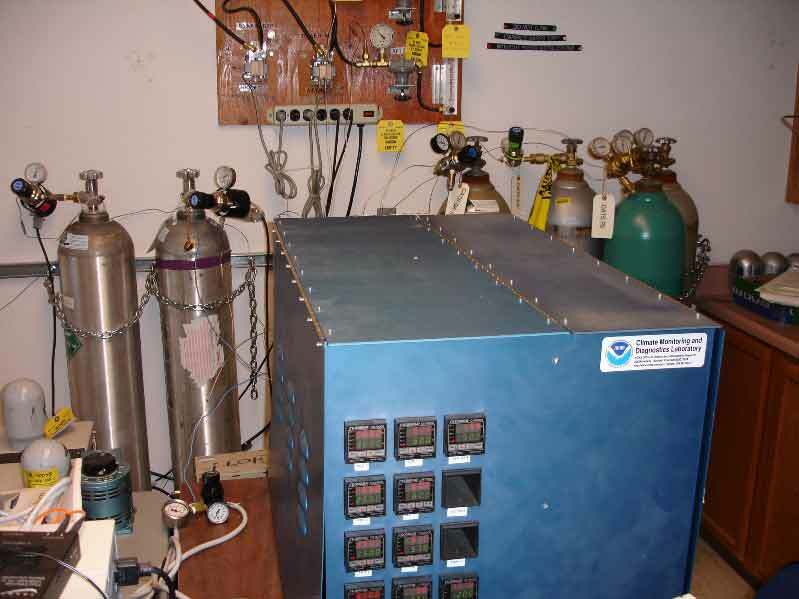 The Aerosols and Air Quality research program studies the behaviour of atmospheric aerosols. 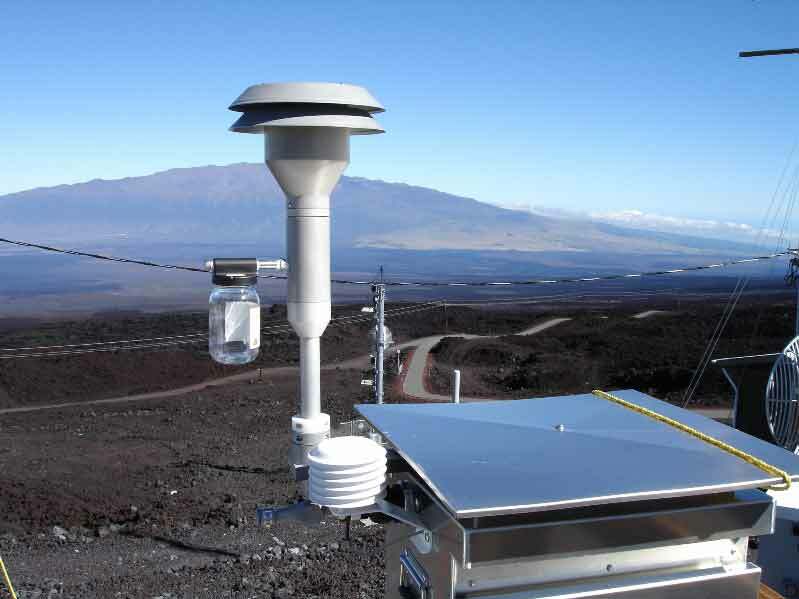 The goals of this regional-scale monitoring program are to characterize the means, variability, trends, and climate-forcing properties of different types of aerosols, and to understand the factors that control these aerosols. The Lidar research program consists of the entire NOAA ESRL GMD Lidar network. There are Lidar and Camera Lidar programs at MLO as well as Lidar programs at 3 other GMD Lidar facilities: American Samoa, South Pole, and Boulder, Colorado. General information about the entire GMD Lidar network is provided with the MLO website because MLO station chief John Barnes is a lead investigator for the network, and all GMD Lidar data is processed at MLO. The Lidar instruments are capable of obtaining tropospheric and stratospheric Aerosol, Water Vapor, and Temperature profiles. The Solar Radiation Group studies the behaviour of atmospheric solar radiation. The goals of this regional-scale monitoring program are to characterize the means, variability, trends, and climate-forcing properties of solar radiation, and to understand the factors that control solar radiation. 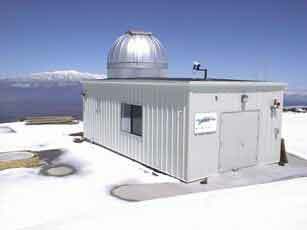 The international Network for the Detection of Atmospheric Composition Change (NDACC) is composed of more than 70 high-quality, remote-sensing research stations for observing and understanding the physical and chemical state of the stratosphere and upper troposphere and for assessing the impact of stratosphere changes on the underlying troposphere and on global climate.